Just because the vending hall has closed does not mean that the Grand Rapids Comic-Con is over for the evening. Quite the opposite! 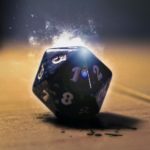 There will be a plethora of activities at the Grand Rapids Comic-Con after the main hall closes for those who want some late night entertainment. Every activity is part of the admission price, so you don’t need to pay an additional admission charge for any of these after hours events. So plan on sticking around after hours and check out some additional fun! Head over to the Garage Bar and Grill for the Official Comic-Con After Party on Saturday, November 10 at 7pm!!! Then starting at 9pm, pick up the hot off the presses Issue 8 of Psychoblab Comix at their release party/Grand Rapids Comic-Con after party and rock the universe with Krillin, UTO, Feral Frankensteins and FogWood! Garage Bar and Grill is located at 819 Ottawa Ave NW, which is a short walk from the DeVos Place, or better yet, jump on the DASH Bus. It will pick you up at the Convention Center and drop you off by Garage Bar! The Grand Rapids Comic-Con will have a wide variety of gaming happening each night until 11:55 pm up in the River Overlook Rooms. There will be a wide variety of board, card, and electronic gaming of all types going on deep into the evening, as well as an escape room. Make sure to check out all of the activities upstairs in River Overlook in the gaming area at the Grand Rapids Comic-Con here. There will an anime screening room running open to close each day in Grand Gallery Overlook F, sponsored by the good people at JAFAX. This programming room will center attention on anime and manga screenings straight from Crunchyroll, so you know it is fresh stuff. Schedule to be announced at show. Take some time to relax and check out some of the newest anime coming right out of Japan! each night until 11:55 pm in Grand Gallery Overlook F.
Christopher Paolini is a world famous author that has sold literally millions of books. 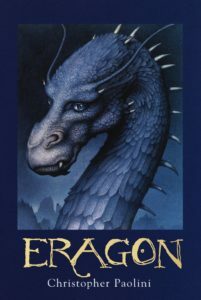 His series The Inheritance Cycle have been on the best seller list for years, and the first book of the series (Eragon) became a major motion picture. But did you know that he conceived the project when he was just 15? Learn how this teen at the time created a million selling book franchise through hard work, perseverence, a lot of help from his parents, and a little luck, and how you can do the same thing. Make sure to see his panel in the Monroe Room at 8 pm. Channel Awesome started as That Guy With The Glasses, one of the first video sharing services on the internet. 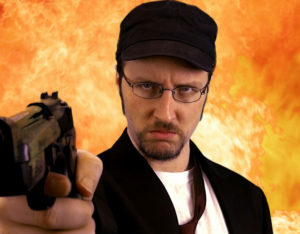 Now with over one million subscribers, Channel Awesome is one of the more prolific channels on all of YouTube, With The Nostalgia Critic, Tamara’s Never Seen, First Viewing, Malcom Ray, and many more items that are required viewing. make sure to check out their main panel over the weekend on Friday night right after Christopher Paolini panel, so hang out afterwards to watch Doug Walker, Tamara Chambers, Malcolm Ray, and the rest of the group in the Monroe Room at 9:30 pm. Welcome to the grindhouse! The Grand Rapids Comic-Con is pleased to be hosting a showcase of student and independent grindhouse film shorts at the event at 8 pm in Grand Gallery A-C. This festival will be part of the show and no additional tickets or expenses will be expected of fans to attend the event. This film festival will have more of a R-rated slant and nobody will be allowed to enter this film festival that is under the age of 17 unless they are accompanied by their parent or legal guardian. You can find out more about the festival here. Grab some of your nerdiest friends and come down to Friday night of Grand Rapids Comic Con to challenge your knowledge on your favorite fandoms in a friendly Nerd Trivia competition, hosted by Quizmaster Chris Goad. Candy, geeky gifts, and other swag will be up for grabs. Teams must consist of one to four people. Event will be held in Grand Gallery E-F on Friday starting at 7 pm. You may find out more about the Trivia Challenge by visiting here. The Mads Are Back! 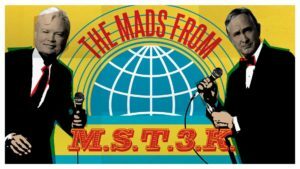 Join Mystery Science Theater 3000’s Frank Conniff and Trace Beaulieu as they screen some of the worst movies ever made and riff, or comedically make fun of, them LIVE in the same style as the Peabody Award-winning TV series. Watch them publicly eviscerate a rotten film and take questions afterwards. Surely a good time for fans of le bad cinema! Check it out at 7:00 pm in Grand Gallery A-C.
Once upon a time, back during the Reagan Administration three brothers released their magnum opus onto the silver screen, and the drive-in was never the same again. Make sure to see the 30th anniversary screening of one of the most creative B-films ever made, the 1988 seminal classic Killer Klowns From Outer Space, with the Chiodo Bros. in attendance answering questions afterwards right after the MST3K screening. The strangest double feature you have ever seen! And make sure to be on time for a special guest that will have you talking! 9:30 pm in Grand Gallery A-C.
“RWBY” has become quite an international phenomenon, being watched all over the world and gathering new audiences all the time. Pretty good for an anime from…Texas. Make sure to check out the panel from three of the voice actors from the series–Kara Eberle (Weiss Schnee), Elizabeth Maxwell (winter), and Jen Brown (Pyrrha)–down in the Monroe Room at 7:30 pm and ask away on the questions. 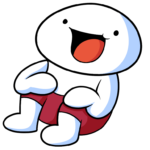 With well over nine million subscribers between the two of them, it is safe to say that our younger crowd has heard of TheOdd1sOut and SomeThingElseYT. They are blowing up YouTube on a regular basis with their quirky and real take on modern life as a pre-teen and teenager crossing into adulthood, and their videos resonate with the younger audience. Make sure to see their panel on Saturday night right after the “RWBY” panel at 9:00 pm in the Monroe Room. Come sing your heart out in a fun, casual, and judgement free setting! We have all kinds of music and a wifi hotspot to pull down even more from the internet and an aux cable to use music from your phone! 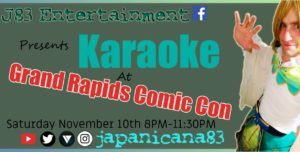 Hosted by J83 Entertainment, who is a panelist, cosplayer, photographer and karaoke host whom one can find at conventions across the Midwest. Grand Gallery E-F on Saturday, November 10 from 8 pm until midnight. Find out more about this all-ages karaoke event here. We took on DC vs Marvel. You were there when we pitted Star Trek against Star Wars, picking space battles galore. Now, Couch Potatoes Unite! embarks upon more (un)necessary nerdy fighting as we enter the Neutral Zone! This time, in honor of guest Walter Koenig, we pit characters, ships, villains, and other aspects of Star Trek generations/incarnations against each other! Kirk or Picard? The Enterprise or DS9? Romulans or Borg? Hop aboard with Kylie Piette, Kyle Brown, Nick Milbratz, and Sarah Milbratz as we tempt war Trekking Through the Final Frontier! 7 pm in Grand Gallery Overlook A-B. Experience Grand Rapids will have a booth in the main hallway at the Grand Rapids Comic-Con with maps to the local restaurants, coffee shops, and bars as well as information on other attractions in Grand Rapids, available free of charge. You may find out more information on Experience Grand Rapids and the night life in our little town here.